Former Liberal leader Christy Clark is flanked by MLAs as she answers questions from reporter after a meeting of her caucus in Vancouver. Knocking on doors in a doomed bid to win the riding of Vancouver-Fairview ahead of the May election, BC Liberal candidate Gabe Garfinkel says he was confronted with failings that foreshadowed the hurdles ahead for his party, now ousted from power for the first time in 16 years. The riding has swung between Liberals and the NDP in recent elections. This time, it did not swing Mr. Garfinkel's way. 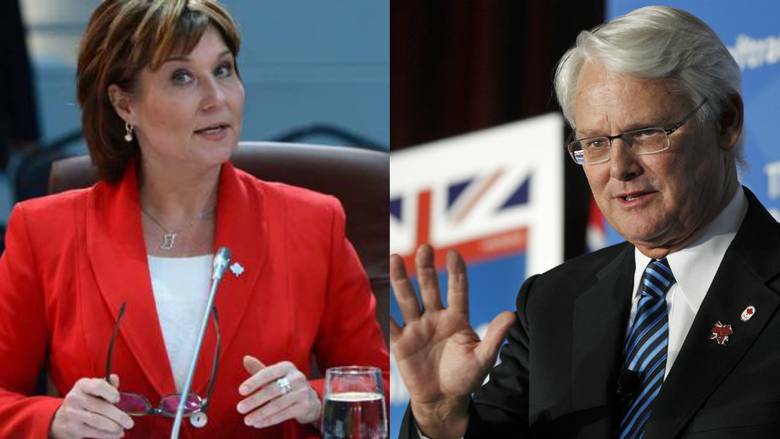 Despite knocking on more than 8,000 doors over three months, the former aide to ex-premier Christy Clark ended up with only 32 per cent of the vote compared with 54 per cent for the NDP incumbent George Heyman, who is now the environment minister. "I knocked on the door of a family of doctors who were unable to find affordable housing or access child care. We knew we had a problem," says Mr. Garfinkel, concluding that the party failed to appreciate or acknowledge challenges people in urban areas were facing, such as housing affordability, child care and transit. Until last month, the BC Liberals – a coalition of federal Liberals and Tories – had governed British Columbia for four consecutive majority governments since 2001, one secured in a come-from-behind, unexpected win in the 2013 election. What happened? "Beats me," says Mr. Garfinkel. "I am not too sure." Senior Liberals interviewed by The Globe and Mail remain upbeat about the journey ahead, saying the party will emerge in better shape. And observers say that, despite the political drama of the past three months, the party has a strong chance of recovery as a result of some important fundamentals. But first, BC Liberals now headed to the opposition benches say they are beginning to grapple with the question that bedevils Mr. Garfinkel and others as the process begins of grinding out an answer aimed at allowing the party to change course for the next election begins. 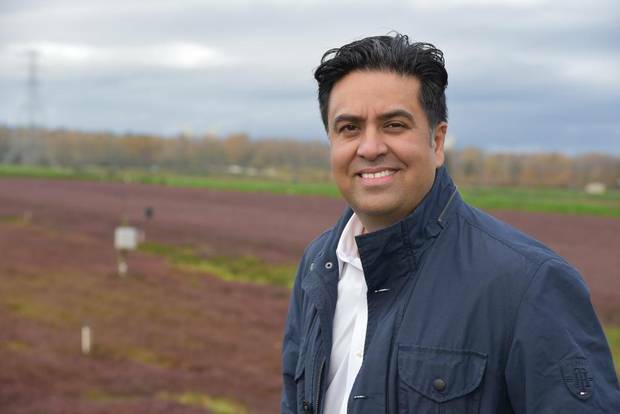 "We allowed ourselves to be characterized as a party that doesn't care; that doesn't have a heart," says Jas Johal, a former TV reporter first elected in Richmond in May who served in cabinet for about three weeks before the Liberals were ousted in a confidence vote by the NDP and the BC Greens. Asked how the party was outmanoeuvred, Mr. Johal said, "I wasn't there for those 16 years," explaining part of it as the challenges of governing for the party he is now a part of. He is considering a leadership bid. Former education minister Mike Bernier, also considering a run for the leadership, said the Liberals did well on economic issues. "But at the dinner table, what were people talking about and were we listening?" The MLA from Peace River South thinks they were musing about taking surpluses accumulated on the BC Liberal watch and seeking to allot some of that money to different sectors of society. "In this last election, did we try to sit back on our great record?" he said in an interview. "Maybe we didn't listen to all of the points that people were trying to make." After five decades of observing British Columbia politics, political scientist Norman Ruff has seen all kinds of electoral defeat, and says the Liberals are not actually in bad shape. The party won 43 seats compared to 41 for the NDP, and three for the BC Greens. "It was hardly a debacle. They faltered in a major way, but it wasn't a major defeat," said the professor emeritus at the University of Victoria. "It's a party that's going to recover. It's a matter of finding a process by which to recover." Mike McDonald, campaign director for the Liberals' election win in 2013 and a senior adviser in this year's election, said the party needs to appeal, anew, to moderate voters in the Lower Mainland who drifted away from the party, allowing the NDP to make gains in the region that is occupied by the most populous cities in the province. "The party has got to consider how its message is being heard in the suburbs and address those issues and come up with a refreshed offering for voters." There's a necessary battle plan ahead, says Mr. McDonald. "Hold onto the base in the Interior. Hold onto seats it has in the Lower Mainland and Parksville. Win back the seats that it has held traditionally, but lost in this election." Christy Clark, who has had a notable national profile as B.C. premier for the past six years, won't be part of the equation. A week ago, she told caucus members at a meeting in the Okanagan city of Penticton that she was quitting as leader and giving up her Kelowna West seat. It was a shock for Liberals, who expected she would, at least initially, lead them in opposition. B.C. 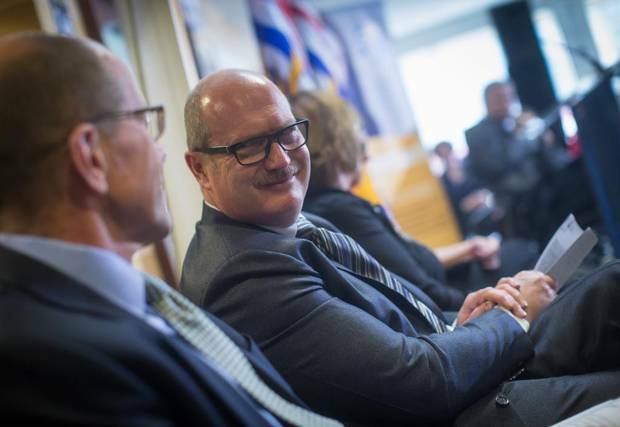 Finance Minister Mike de Jong attends a funding announcement at Covenant House in Vancouver in March of 2017. "No one went to Penticton thinking, by the end of the meetings, we would be having the conversation about finding a new leader," says Mike de Jong, the former finance minister. Ms. Clark said she wanted to get out of the way so the party could adapt to its role in oppositon, and felt it was time to go because there is no likelihood of an imminent election. On Friday, the Abbotsford News reported that Abbotsford South MLA Darryl Plecas threatened, in Pencticton, to quit if Ms. Clark did not step down as leader. Mr. Plecas told the paper he felt Ms. Clark and her staff did not listen enough, did not let politicians speak their mind, and should have diverted B.C. surpluses to deal with social concerns. Still, senior Liberals declared that, in the end, Ms. Clark left of her own accord. "She wasn't pushed; she jumped," said Ralph Sultan, elected MLA for West Vancouver-Capilano in 2001. Until she announced her exit, conversation among Liberals in Penticton had been about figuring out how to work in opposition. Many hope the process of finding a new leader to replace Ms. Clark will position the party to make a new case to voters for support. Mr. de Jong says the party has to earn its way back to government with new ideas on key issues. "If we're serving two minutes in the penalty box, let's put that time to good use," he said. No one has committed to running, but a number of MLAs, including Mr. Johal, former advanced education minister Andrew Wilkinson, former transportation minister Todd Stone, Mr. Bernier and ex-Vancouver mayor Sam Sullivan, a Liberal MLA in central Vancouver, are considering bids. Outside the caucus, former Surrey mayor Dianne Watts, now a Conservative MP, says she's received indications of support, but has made no decision on running. Mr. Sultan says he drafted a list of credible prospects, and came up with a total of 15 names. He declined to release the list. BC Liberals say the leadership prize is worth fighting for because the Liberals, or their "free-enterprise" forerunners Social Credit, have, more often than not, tended to govern the province. The winner has a reasonable shot of governing British Columbia if NDP Premier John Horgan and his team falter, or their governing agreement with the BC Greens breaks. Mr. McDonald says a new leader will articulate some approach to dealing with these issues. He sees a fluid leadership race ahead in which the winner will offer a vision that revs up Liberals, and also unites federal Liberals and Conservatives that add up to the BC Liberal coalition. He cites the federal Tory leadership race, which took shape over time, as candidates rose and fell in party members' esteem. Maxime Bernier, he observes, didn't win, but ended with a much higher profile than he started with. "Will there be a candidate like that who is discounted, but has a message that really resonates with people? That's why we have a leadership race. We test people out." Mr. McDonald says the new leader will start fresh, with an opening to get a new look after such past difficulties as the last throne speech, presided over by Ms. Clark, that reversed campaign policies and made promises the Liberals didn't run on. "A new leader has a chance for first impressions and to get off on the right foot and engage people," he said. In the meantime, there is the challenge of opposition. Only three of 43 elected Liberals, including Mr. de Jong, have any experience on that side of the legislature. Ironically, there was a fourth – Ms. Clark, now departed. "I spent seven years in opposition, but I had to learn it and so many of my colleagues will have to do that, and a couple of us who were there previously will have to relearn it," said Mr. de Jong. "Is it like riding a bike? I'll tell you in a month or so." The curriculum includes critiquing the policies and decisions made by the new government. That will be one of many adjustments, says Mr. de Jong. "We are a group that has spent 16 years making the decisions. There is a critical role of critiquing as opposed to creating." Mr. Sultan is bemused by the challenge ahead. "For many who have been used to the large offices with eight or nine people following them around writing speeches for them, and telling them what papers to sign, it's a wrenching change and a difficult one psychologically," he said. There has been some speculation that veteran Liberals won't survive the transition to opposition, but instead quit politics altogether. Mr. de Jong says he is sticking around. Former jobs minister Shirley Bond, who had been in cabinet since she was elected 16 years ago, says she too is staying. Mr. Johal said his 23 years of journalism experience has prepared him for opposition. Earlier this week, interim BC Liberal Leader Rich Coleman, a former deputy premier, released a list of critics' roles for the team. Mr. de Jong will be house leader. Ms. Bond will share finance duties with another MLA. Mr. Johal will share critics responsibilities on jobs with another MLA. Mr. Bernier will share critics duties on health with another MLA. Brad Bennett, the grandson of former premier W.A.C. Bennett and son of former premier Bill Bennett, says the "time out" the Liberals are now facing will allow the party to figure out where to go from here. Throughout the elections in 2013 and 2017, Mr. Bennett travelled at Ms. Clark's side, offering political counsel during the campaign. He acknowledges parallels between the current situation and that of his late father, Bill, who became leader of Social Credit in 1973 while the NDP was in power. Bill Bennett positioned his party to win the next election in 1975. Asked what the BC Liberals can learn, he said, "Seize the opportunity to refresh, to rebuild, to have conversations around the entire province, and engage as many people as possible." He added, "When it works, it really works. Those discussions need to take place. It is an opportunity to really solidify a strong free-enterprise coalition." Discord over the Trans Mountain pipeline expansion rattles Canada’s political landscape The fate of the project has become a defining moment in the national debate over natural-resources development and environmental protection; over what role other levels of government have in approving interprovincial projects; and the degree of consultation and consent that is required from Indigenous Canadians.